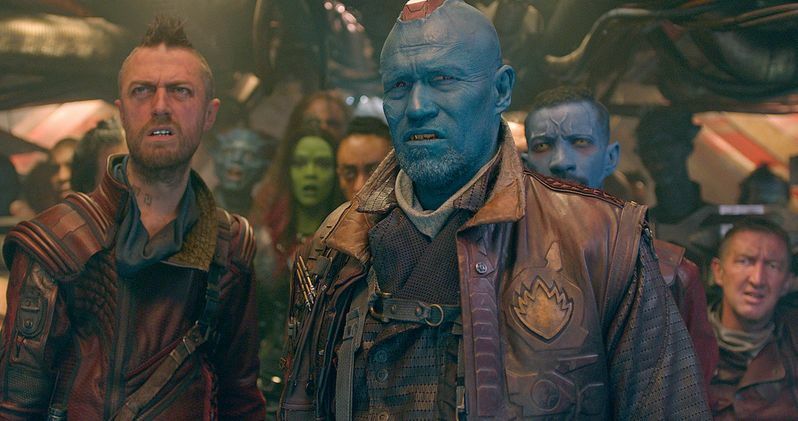 With Guardians of the Galaxy heading into its second weekend in theaters starting today, Marvel Studios has released a new two-part featurette that explores the "gear and garb" used in this cosmic adventure. Learn more about the props and costumes of Marvel's Guardians of the Galaxy with Prop Master Barry Gibbs and Costume Designer Alexandra Byrne, before seeing Guardians of the Galaxy again in theaters. Take a look at the videos, then read on for a glimpse at an early design of the villainous Nebula. Andy Park, who has served as a concept illustrator on Thor, Captain America: The First Avenger, Marvel's The Avengers, Iron Man 3, Thor: The Dark World, Captain America: The Winter Soldier and Guardians of the Galaxy, released an early design for Nebula in Guardians of the Galaxy, which you can take a look at below. From Marvel, the studio that brought you the global blockbuster franchises of Iron Man, Thor, Captain America and The Avengers, comes a new team-the Guardians of the Galaxy. An action-packed, epic space adventure, Marvel's Guardians of the Galaxy expands the Marvel Cinematic Universe into the cosmos, where brash adventurer Peter Quill finds himself the object of an unrelenting bounty hunt after stealing a mysterious orb coveted by Ronan, a powerful villain with ambitions that threaten the entire universe. To evade the ever-persistent Ronan, Quill is forced into an uneasy truce with a quartet of disparate misfits-Rocket, a gun-toting raccoon, Groot, a tree-like humanoid, the deadly and enigmatic Gamora and the revenge-driven Drax the Destroyer. But when Quill discovers the true power of the orb and the menace it poses to the cosmos, he must do his best to rally his ragtag rivals for a last, desperate stand-with the galaxy's fate in the balance.